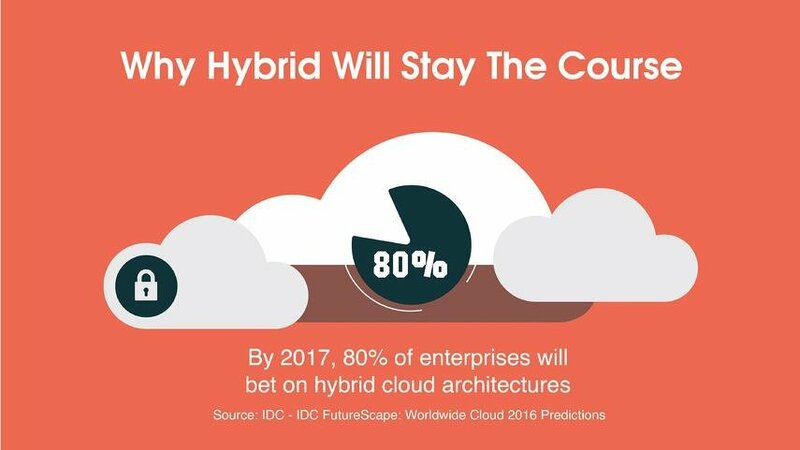 The first part of our hybrid cloud blog captures why enterprises have bet big on the public cloud. With cloud spend growing seven times faster than overall IT spend, public cloud services will influence more than $1 trillion of IT spending. Despite all the cloud momentum, 65 percent of enterprise workloads are still in owned datacenters. Hybrid architectures will be the norm for a long time as certain workloads will stay on-premises due to security or cost reasons. 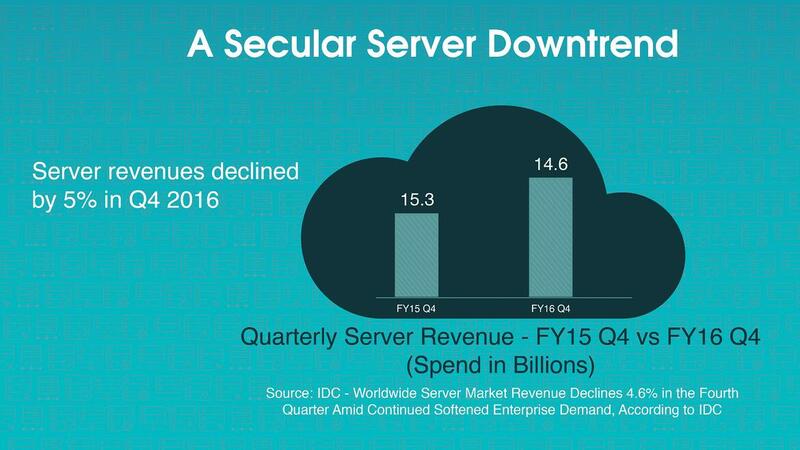 While proclaiming the death of corporate datacenters is premature, IT teams are shrinking their on-premises footprint. 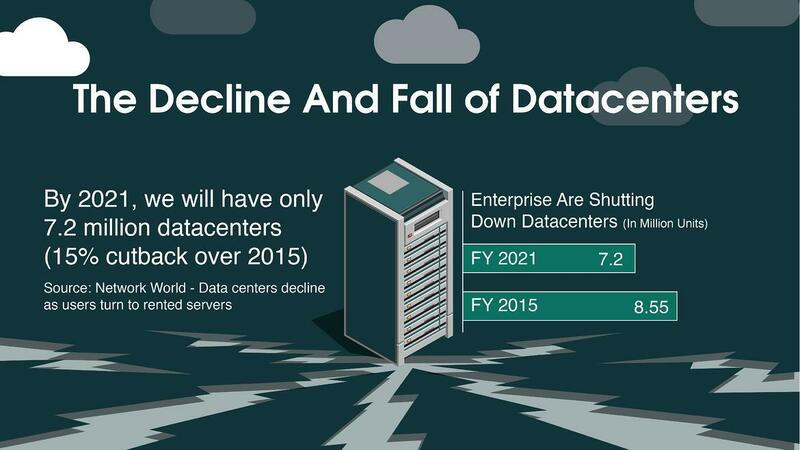 Only 7.5 million datacenters will be in operation by 2021 (a 15% decrease from 2015), with enterprises outsourcing operations to cloud and colocation providers. Bottomline. IT teams will need to maintain reliable datacenter operations for existing workloads while building 'infrastructure as code' capabilities for the cloud. How do webscale companies like Facebook and LinkedIn support billions of monthly active users? Facebook's secret sauce is the Open Compute Project (OCP) that helps it build next generation cloud infrastructure at the lowest possible cost. With webscale companies like Facebook turning to contract manufacturers for its OCP hardware and enterprise demand for servers drying up, original equipment manufacturers are shipping fewer boxes. Bottomline. IT leaders should leverage contract manufacturers and Open Compute hardware designs for cost and energy optimizing infrastructure. 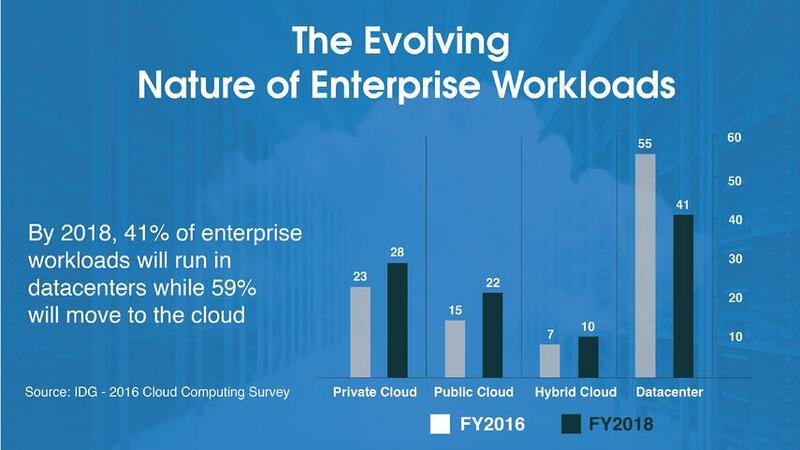 Few enterprises will run all their workloads in the cloud. Due to compliance and regulatory reasons, some workloads will stay on-premises. Moreover, legacy workloads were never built to take advantage of the cloud's scalability. Enterprise apps built on legacy technology stacks like COBOL and mainframes are not great candidates for cloud migration. Bottomline. Hybrid cloud architectures will introduce complexity for IT management. Invest in the right processes, staff, and tools to manage traditional and modern workloads without compromising service levels. With more data moving into the cloud, public cloud is becoming the preferred execution venue. 60% of enterprise workloads will embrace cloud architectures by 2018. And, the next generation of workloads will take full advantage of the cloud's dynamic nature to unseat incumbents and unleash disruption. Bottomline. Embrace a cloud-first strategy to adopt innovations like digital business and the Internet of Things (IoT). Leverage the cloud to create new products to drive revenue growth, customer loyalty, and industry leadership. In 2017, enterprises will spend 34% of their overall IT budget on cloud services (up from 28% in 2016). IT leaders continue to believe in the effectiveness of the 'as a service' (XaaS) model. In the next one to three years, 83% of IT teams will invest in Infrastructure as a Service (IaaS), 82% will invest in Platform as a Service (PaaS), and 91% will invest in Software as a Service (SaaS). Bottomline. 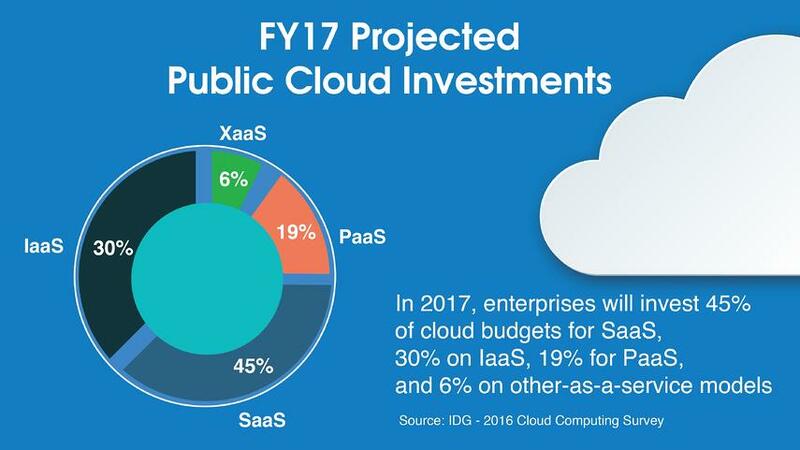 SaaS and IaaS will grab three quarters of cloud spending in 2017. Cloud providers will introduce innovative XaaS products to grab more of the enterprise IT wallet share. Not all workloads will migrate to the cloud. Invest in the right tools for visibility and control across traditional and modern workloads. Build the right set of skills to manage hybrid operations at scale. You will need system administrators for datacenter management and DevOps engineers for continuous delivery and deployment. Deploy multi-cloud architectures for specialized workloads. Multi-cloud will help you avoid vendor lock-in and build resilience. Build interoperability across datacenter and multi-cloud architectures using APIs and standards.